ATLANTA—Late on Election Night, in a ballroom at the Hyatt Regency hotel, Red Bull cans clinked against shoes on the floor. Journalists in a tight media pen scrambled to refresh pages and shared snacks, teen organizers smuggled in pizza, and some exhausted veterans rested their joints on couches outside. A DJ played R&B and hip-hop, and the songs lifted people up—until they didn’t. Even Cameo’s “Candy” fell flat. The chants and cheers and dances that had filled the room died down to a constant, nervous buzz. 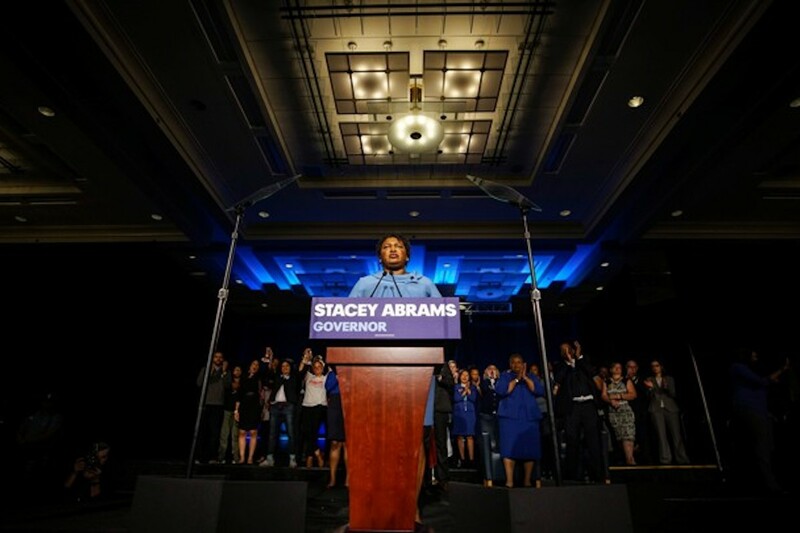 Around 2 a.m., Stacey Abrams, the Democratic candidate for governor, took the stage. “Tonight we have closed the gap between yesterday and tomorrow, but we still have a few more miles to go,” she told the crowd to cheers. But even those cheers seemed muted. As of daybreak the next morning, the gap remained. The Georgia Democrat has thus far refused to concede in the state’s governor’s race, saying that she wants to wait until all the provisional and absentee ballots—which appeared to heavily favor Democrats, and had already cut Secretary of State Brian Kemp’s lead by half—are counted. Major outlets have so far refused to call the race in favor of Kemp, a prudence in an election scarred deeply by myriad irregularities. But the fact is, Kemp now leads the race by 150,000 votes, which is outside the margin for both a recount and a runoff.